Support the natural contours of your foot with the Apex Ambulator® Biomechanical Triple-Strap Work Boot. This boot is often recommended for those with diabetes, arthritis or anyone looking for supreme comfort. 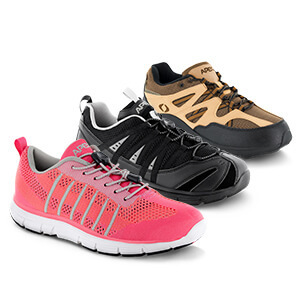 Biomechanical shoes is recommended for those who have bunions, arthritis, diabetic feet, plantar fasciitis, or who need removable insoles, shock absorption, high/wide toe box, adjustability, stability, breathability, X-wide widths.